Join Erik Payeur & Jamie Sledd as they head down to Roatan! Roatan is known for it’s warm clear water and amazing underwater topography! 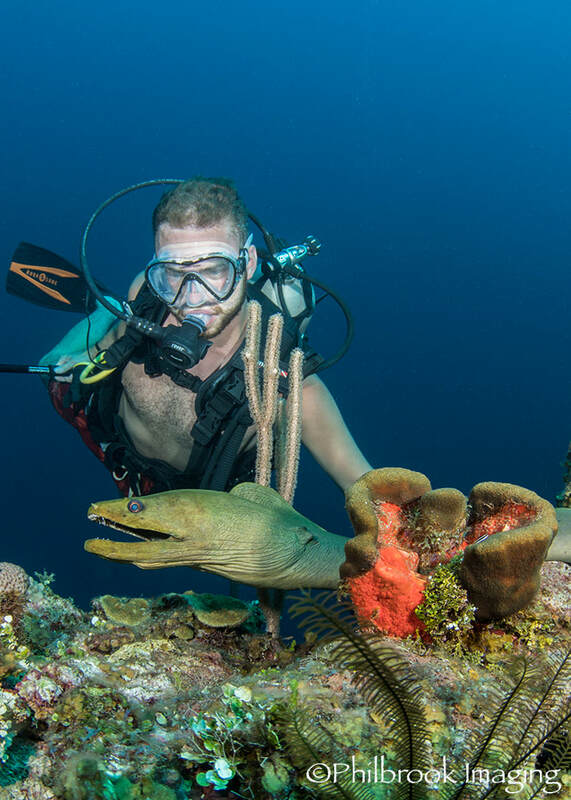 Dive with “One Eyed Jack” Roatan’s friendly green moray eel! 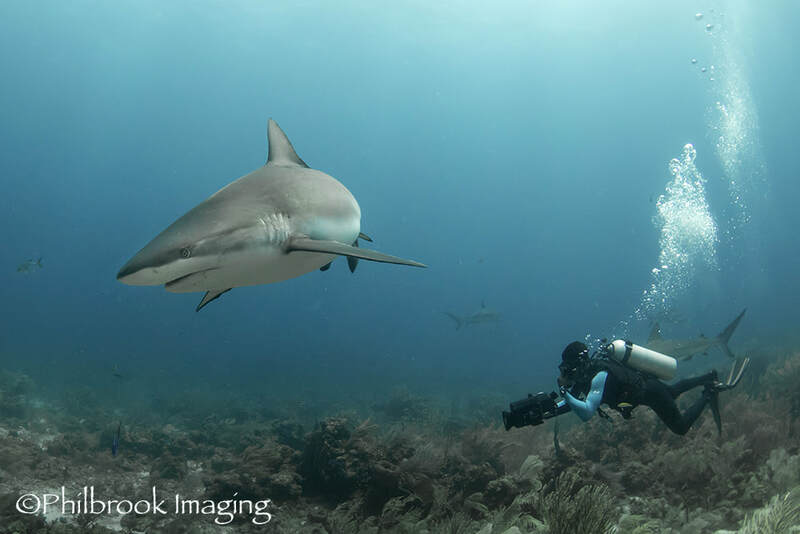 Routan also has an amazing shark dive (not included) where you can dive with and have close encounters with a dozen or more Caribbean reef sharks! We will be staying at Turquoise Bay Dive & Beach Resort. 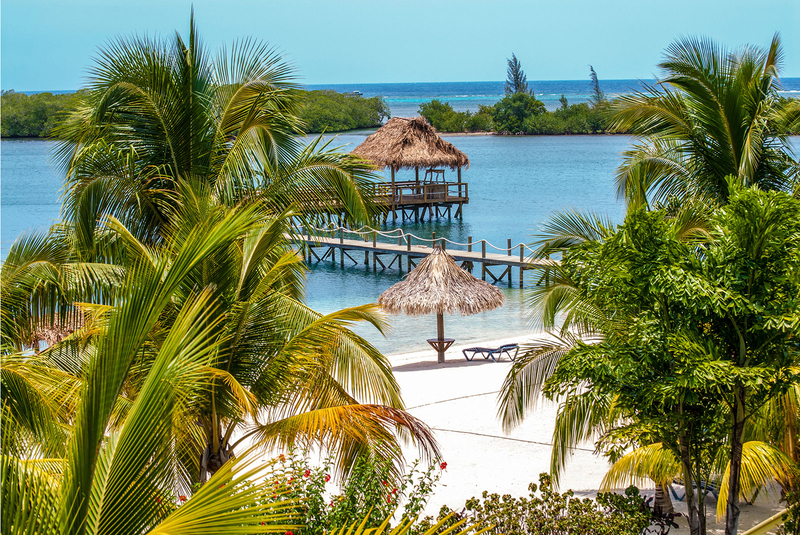 Turquoise Bay is a favorite resort of ours! Located on Roatan’s Northeast shore Turquoise Bay is the only dive resort in this lush and remote area of the island providing you with the opportunity to dive uncrowded, pristine dive sites. The resort is set on a hillside with spectacular ocean views and a protected bay which makes the water calm and perfect for swimming and kayaking. Beach lovers will enjoy our private, tranquil, 500 ft white-sand beach. Please fill out the Trip Sign Up Form and send it in with your $300 deposit. NOTE: $300 Non Refundable deposit holds your spot for this trip. Final trip payment is due by February 6, 2019. We strongly recommend travelers insurance, ask for details. Land/dive/air prices are payable by cash, check, or credit card and are quoted to reflect a 3% cash discount. If you wish to use a credit card, this 3% discount will not apply to the above quoted price. Airfare rates are based on early sign up, future rates are approximate, call for current price. Due to rising fuel costs, airlines have been imposing additional charges without notice, prices subject to change.